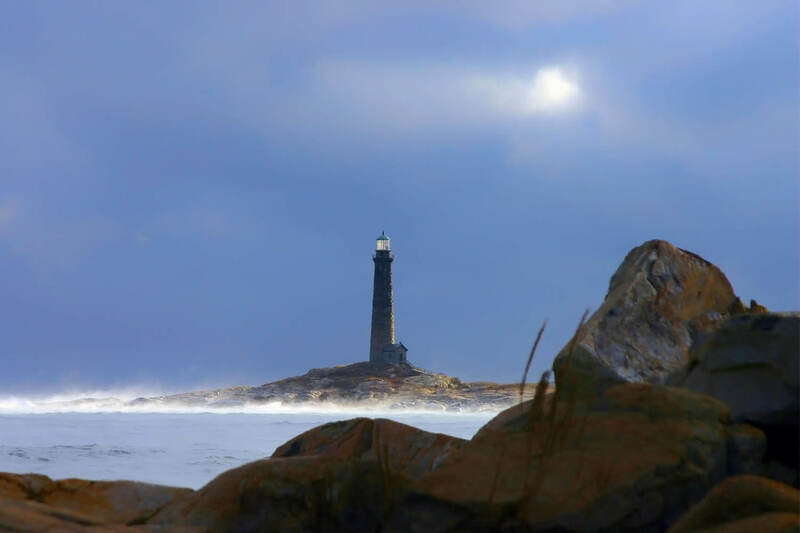 The Thacher Island Association (TIA) was established in 1981 by the Thacher Island Town Committee (TITC) as a non-profit group dedicated to raising funds for the restoration and on-going maintenance of the Island . 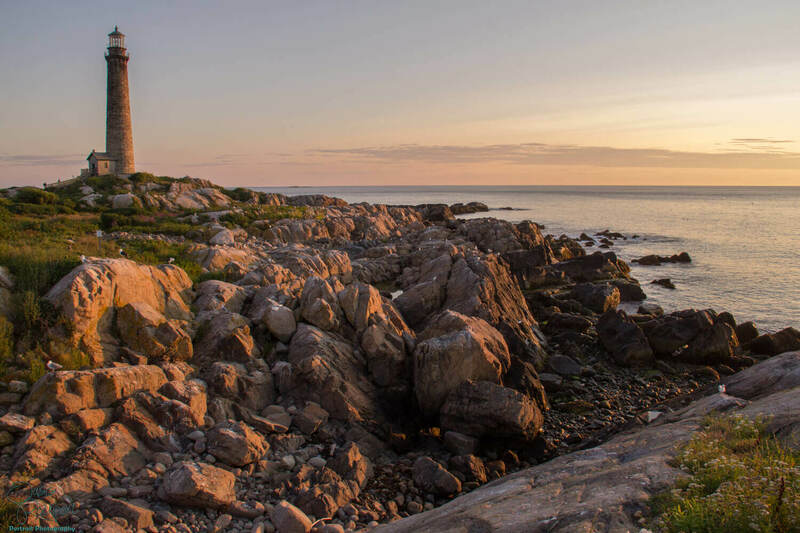 The Town of Rockport owns the southern end of the Island and manages it via the TITC and TIA. The northern end is owned by U.S. Fish and Wildlife Service (U.S.F&WS) and is managed by the Town under an agreement with U.S.F&WS. Today the TIA boasts a membership of over 750 individuals, families and local businesses. The Board of Directors is composed of 17 members, 4 of which are officers and meets monthly. A member of the U.S. Fish and Wildlife Service usually attends. All members are volunteers. A newsletter is sent to members 2 times a year and a web site has been created and receives on average over 2000 “hits” per month. The eleventh and last lighthouse built under British rule in 1771. The original First Order Fresnel lens from the south tower is on display at the U.S. Coast Guard Academy in Groton Ct. 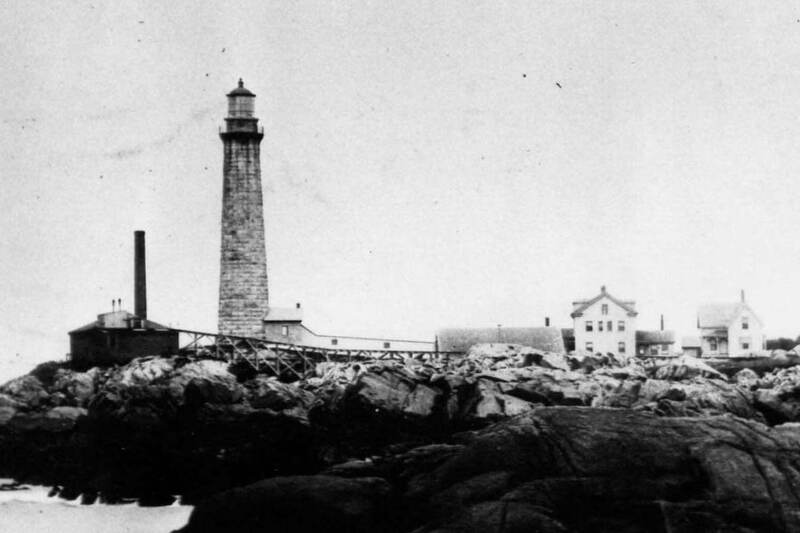 The first lighthouse to mark a “dangerous spot” along the coast, all previous lights were built to simply to mark harbor entrances. 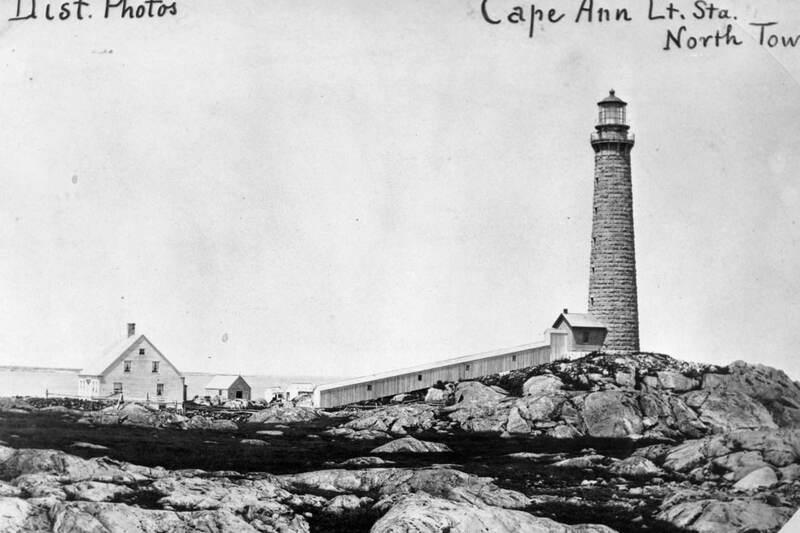 First test site for Winslow Lewis’ modified Argand lamp in 1814 later adopted for use in all U.S. lighthouses. 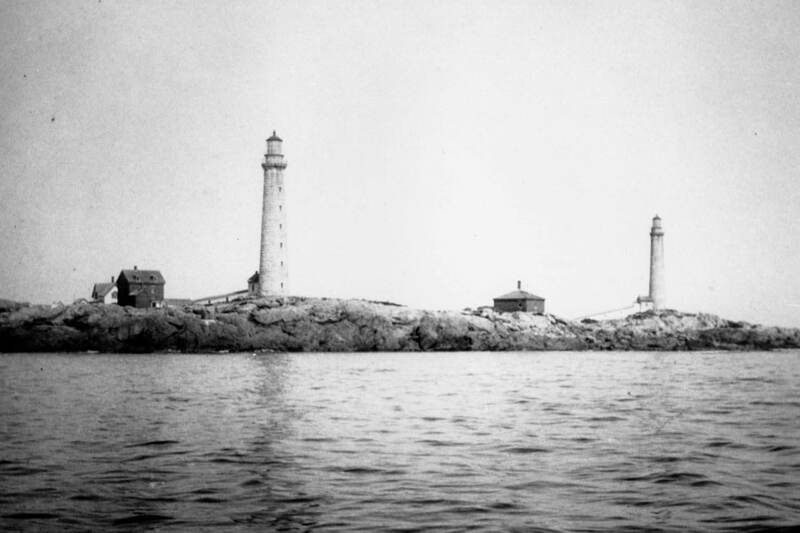 Twin lights were used to be distinguishable from other lights on the coast prior to the development of revolving lenses and unique blinking patterns were incorporated. Thacher Island was sighted by Champlain in 1605, by Captain John Smith in 1614, and by how many more before that, nobody knows. 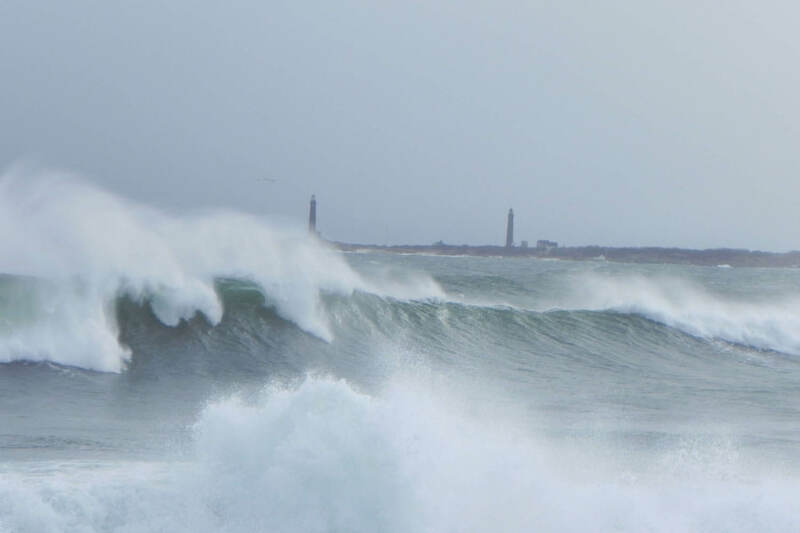 The name comes from a shipwreck described as "pathetic" by historians. 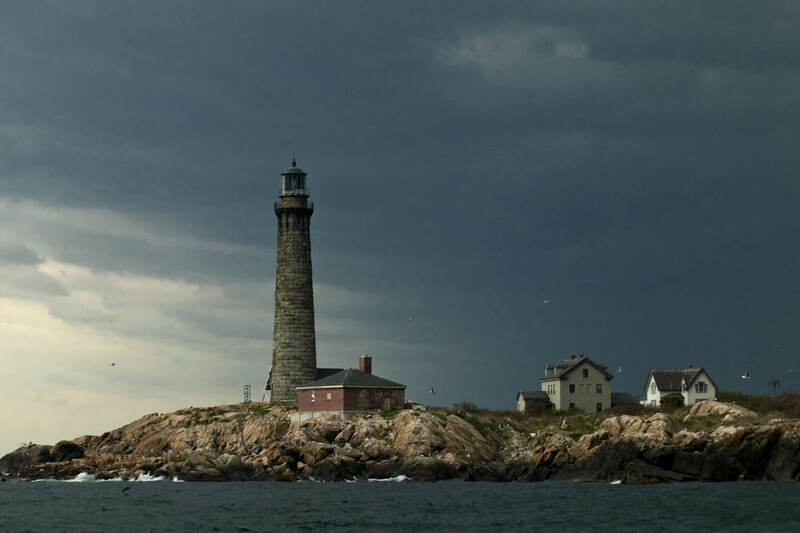 A small boat out of Ipswich , bound for Marblehead, was caught in the Great Storm of August, 1635, and was dashed to pieces on the rocks of the Island. Of the twenty-three passengers and crew, only Anthony Thacher and his wife survived, watching helplessly as their children and friends were swept away. On September 3, 1635 , the General Court voted Thacher 40 Marks. 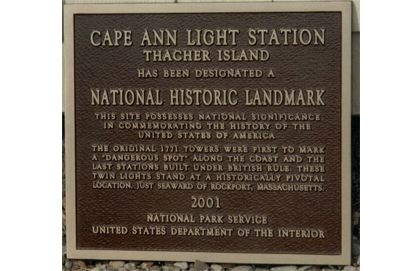 Also, in 1636-37, the General Court voted to grant Thacher the Island "at the head of Cape Ann , as his inheritance." In 1717, the Island was sold by John Appleton (an heir of Thacher ), of Ipswich, to the Reverend John White - 30 acres, more or less, for 100 pounds. In 1726-27 the Reverend John White sold to Joseph Allen for 175 pounds. This was Joseph Allen, Jr. who owned it at his death in 1750. In 1771, the Colonial Government bought it back for 500 pounds. 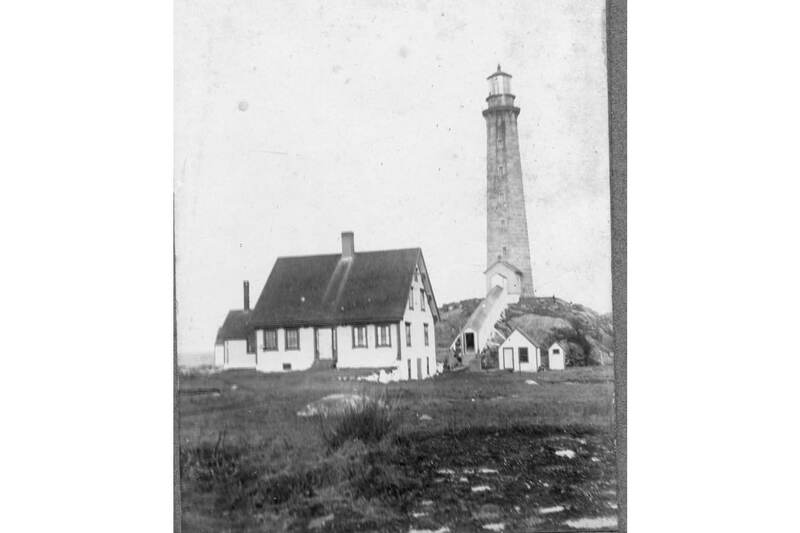 The same year, the twin lighthouses were erected and lighted for the first time on December Twenty-first. 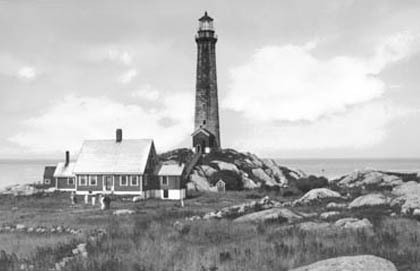 The present 123-foot granite towers were completed in 1861 raising the lights to 166 feet above sea level. 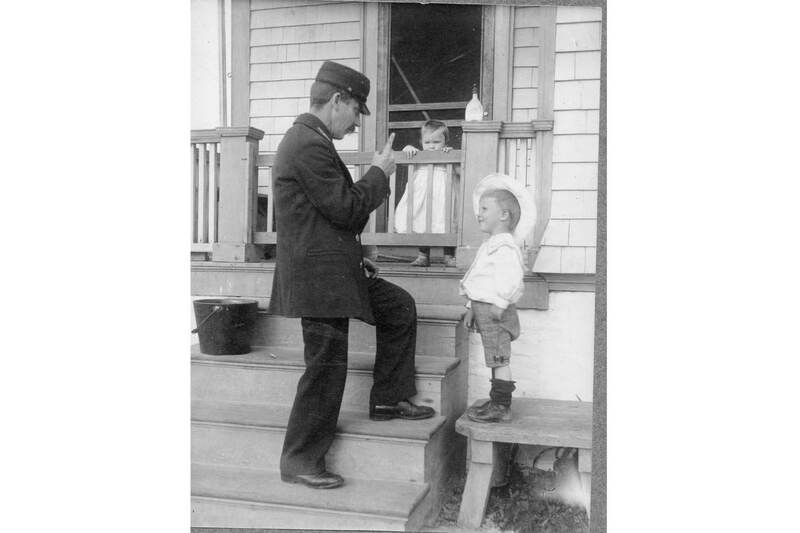 In 1888 the Town of Rockport adopted the Seal of the Island as its official seal. 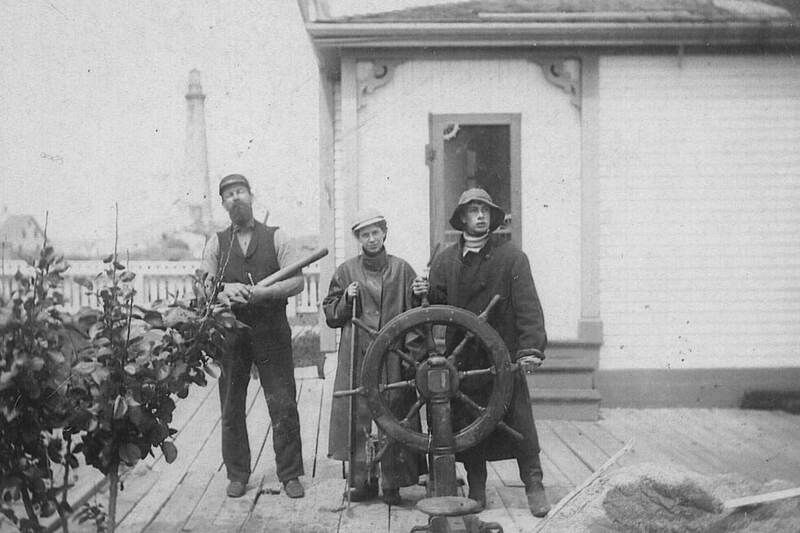 Early in this century, four families lived on the Island, to run the lighthouses and fog whistles. Descendants of these families still live in Rockport. 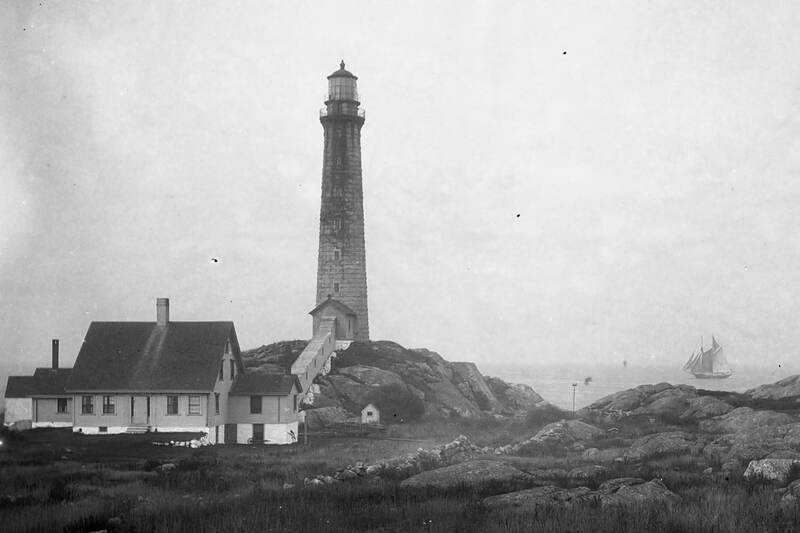 The north light was shut off in 1932, as an economy measure. The Coast Guard, which had manned the Island for many years, removed its last crew of four men in 1980. 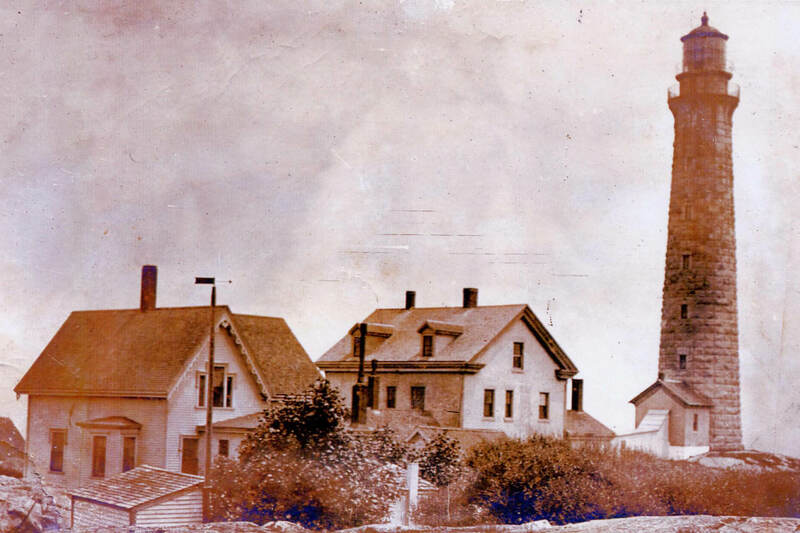 At that time, the south light and the fog whistle had become automated, and the Town of Rockport took over the Island by lease from the U. S. Coast Guard. 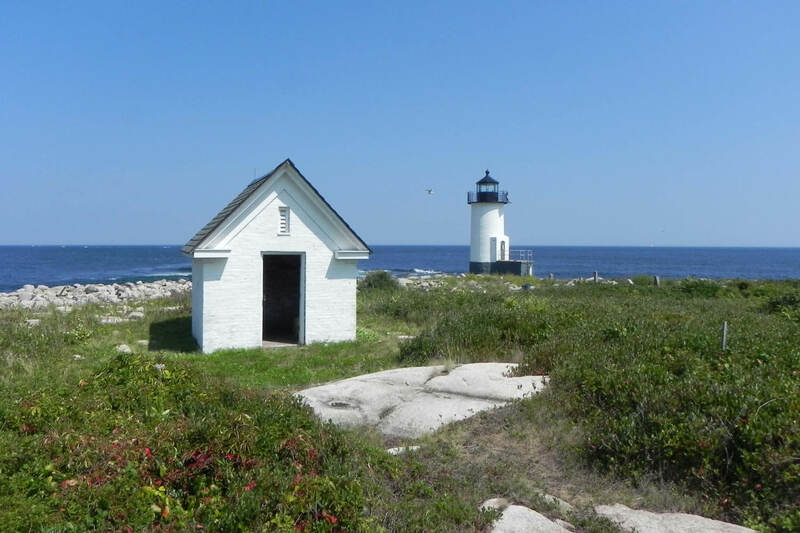 In 1983, the Thacher Island Association was formed as a non-profit organization to support and encourage historic preservation and restoration of the structures on the Island. The Association financed the design and construction of a custom made aluminum launch, a mini landing craft, to provide access to the Island. Major restoration work was completed in 1988 on the once abandoned North Tower it was relit and approved as a private aid to navigation. A 15 watt fluorescent lamp replicates the amber light of the original oil lamp and can be seen for almost eight miles. In the summer of 1998 the Coast Guard installed a solar panel to power the south tower and fog horn. 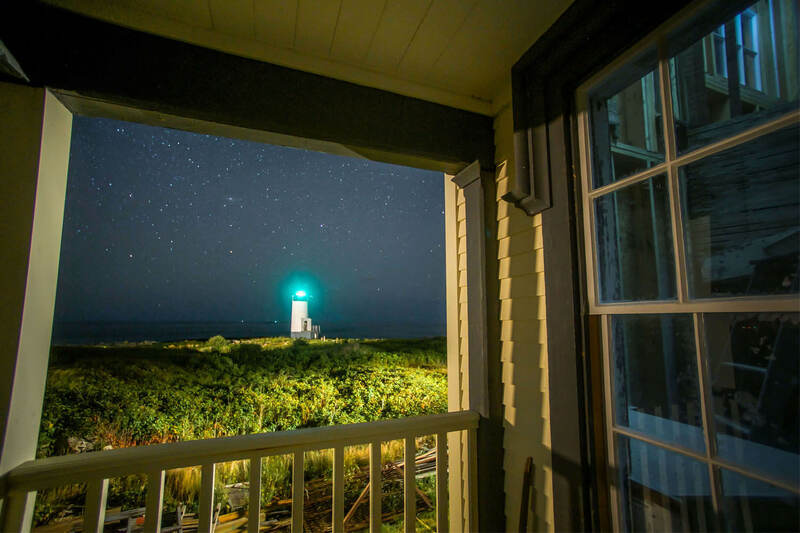 The entire Island and its structures were designated as a National Historic Landmark by the National Park Service. 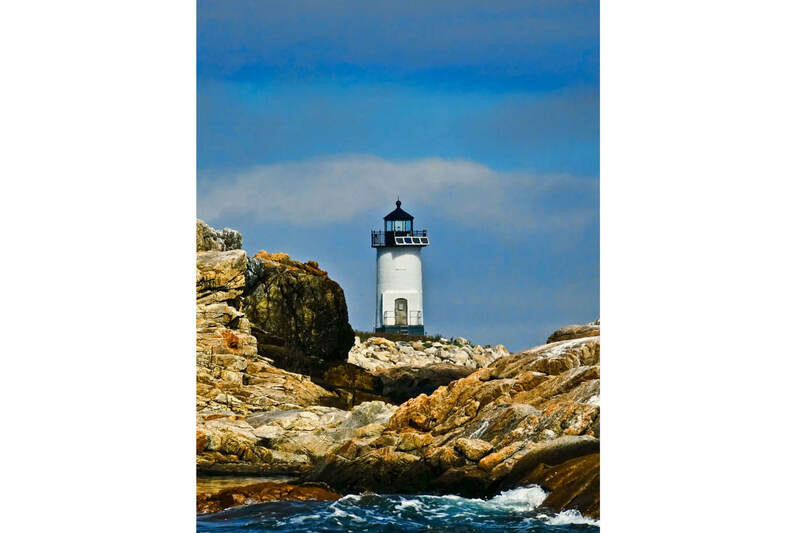 This designation in January of 2001 officially recognizes Cape Ann Light Station’s significant impact in our nation’s maritime history. 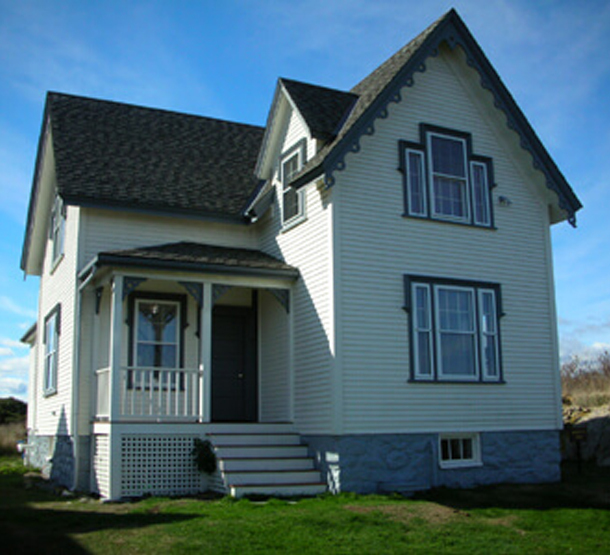 A total restoration of the brick two story duplex Assistant keepers quarters and a guest apartment on the Island took place during the summer of 2002 allowing the Town to begin renting the guest apartment and providing an income stream to be used for further restoration. The Association maintains volunteer keepers on the Island during the summer months to assist and inform visitors, and to provide the daily upkeep needed for a ship-shape facility. Also in 2002 the southern 28 acres of the Island and its structures were deeded over to the Town of Rockport by the U.S. Coast Guard. The north end and tower is owned by the U.S. Fish &Wildlife Service and managed by the Town on their behalf as a wildlife refuge. 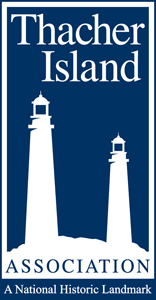 Future plans include restoration of the island and its structures to their original 1800’s condition and keep it open to the public as a historic and educational facility. Visitors arrive from Loblolly Cove c.1930. 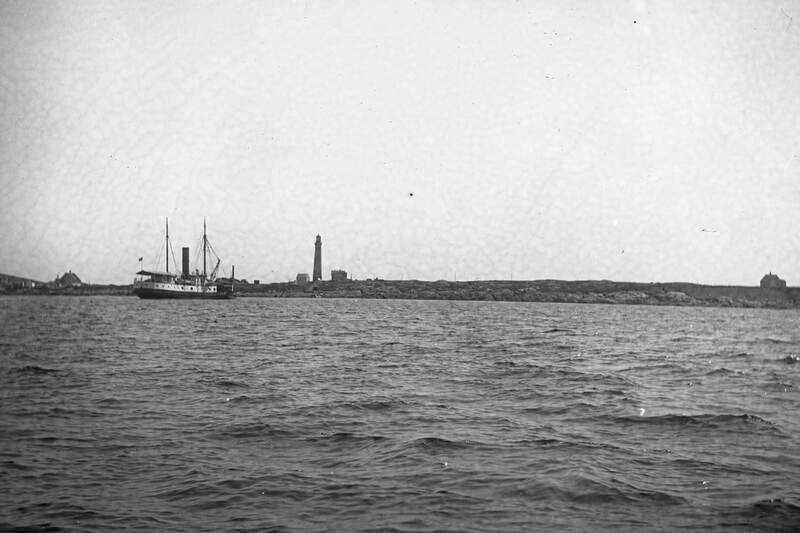 North tower with fishing schooner passing c.1910. 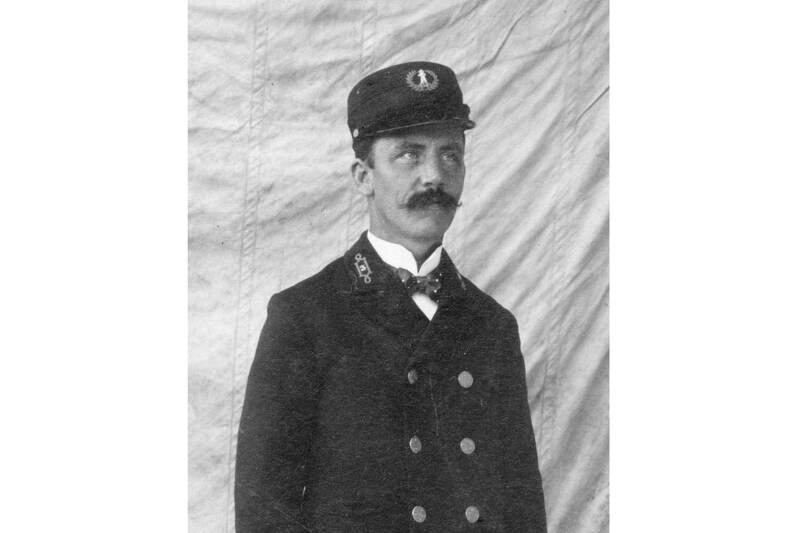 Keeper George E. Kezer. Uniforms were required after 1884. Keeper Eugene Larsen and wife Edvardine c. 1912. 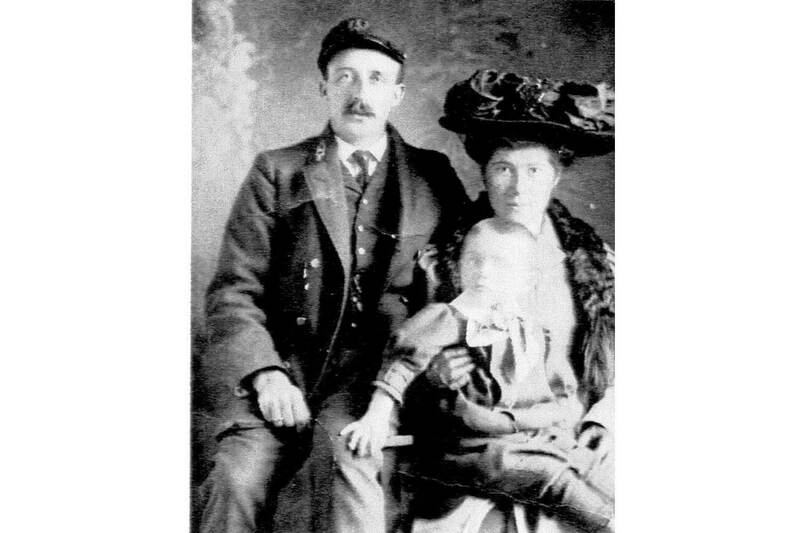 George Kezer with his oldest son Harlen and younger son Thatcher Warren born on the island in 1900. North tower with covered walkway c.1910. North tower keeper house c.1910. 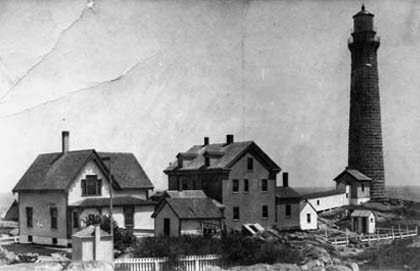 Principal keeper and assistant keeper houses with picket fence and outhouse c.1880. Island view from eastern shore to the west. 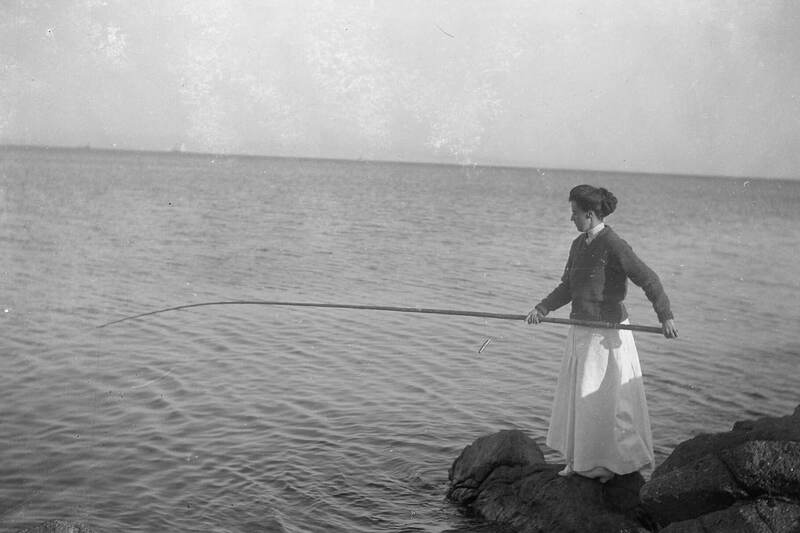 Keeper wives often fished to supplement the family food supply. 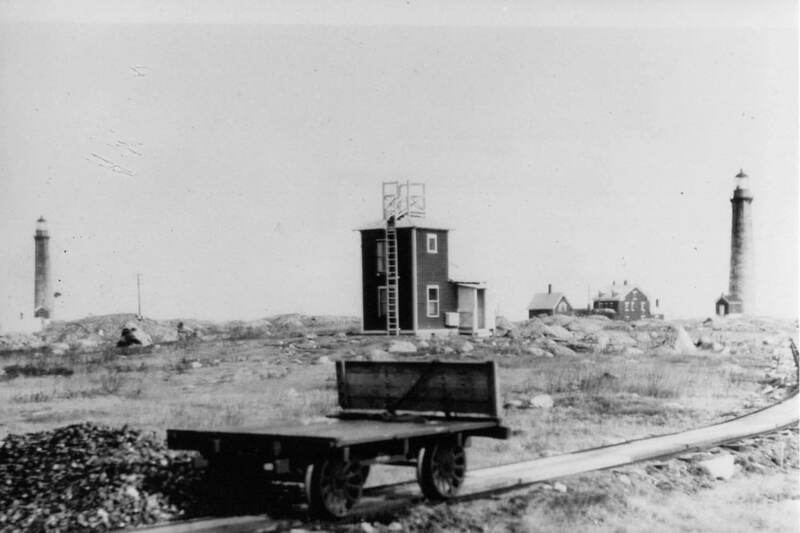 Coal cart near the radio compass tower operated by the U.S. Navy c.1911. 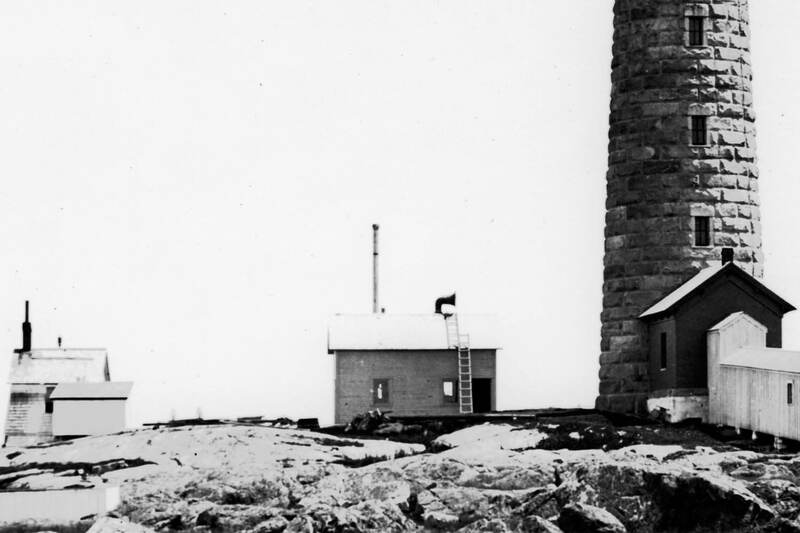 South tower with two original fog signals c.1868. Lighthouse tender USLHT “Mayflower” delivering coal and supplies on August 12, 1913. Unidentified keepers pose on porch of Principal keeper house on July 28, 1896. This may be Principal keeper Addison Franklin Tarr, with telescope, who served from 1881 to 1912. Whistle house with railway trestle to the roof where coal was deposited to run the steam powered fog signal. 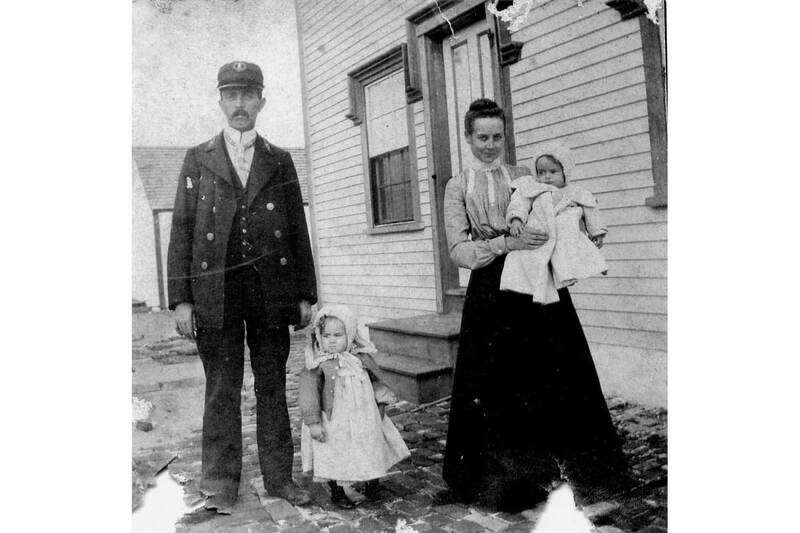 Third assistant keeper William Merrill Reed and his wife Dora and daughters Alice and Louise 1904. 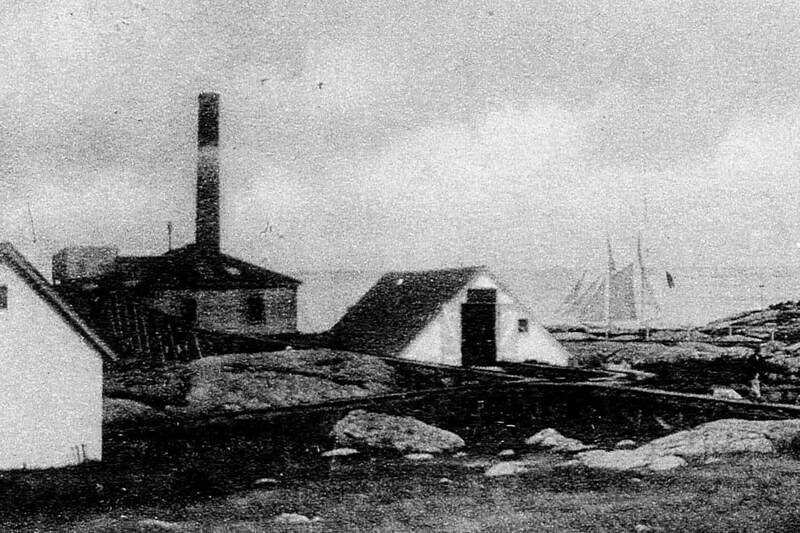 Current whistle house with cover cistern and schooner passing by the South tower. 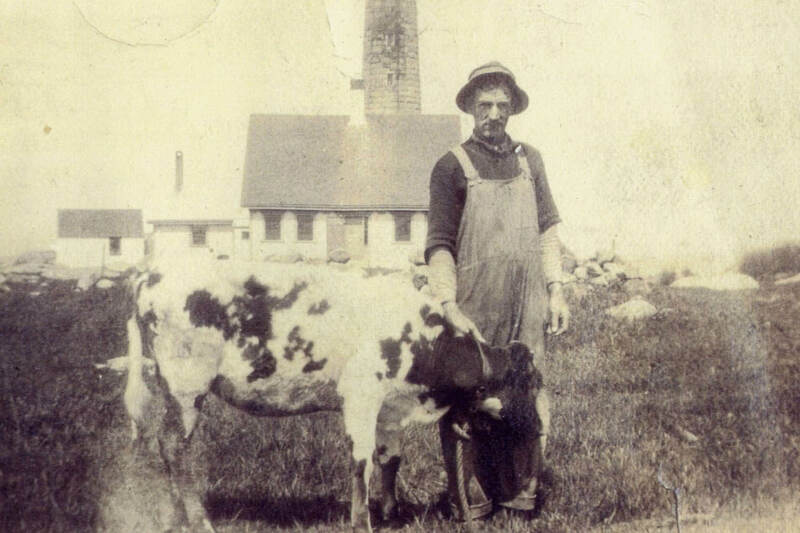 Keeper William Daggett (1870-1945) tending his cow near the North tower c.1918. 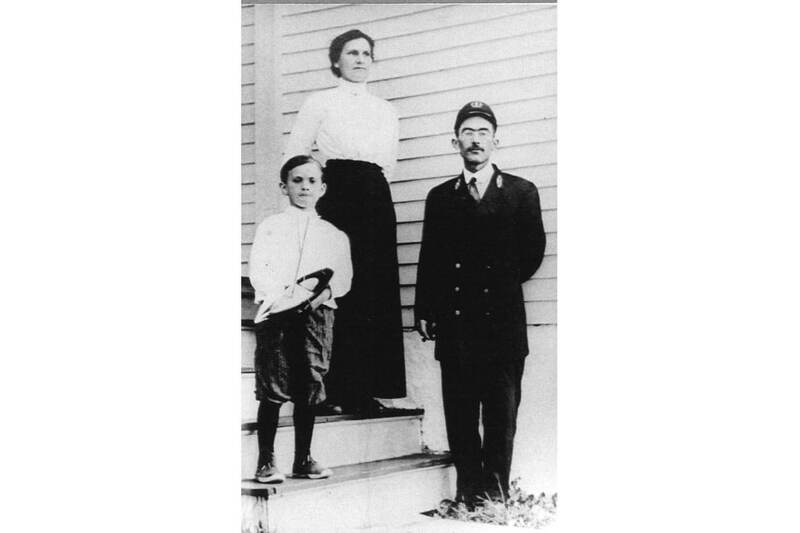 Assistant keeper John E.H. Cook with his wife Emma and son Donald in 1911. Cape Ann Museum site of the First Order Fresnel lens once installed in the south tower on Thacher island. Keepers John & Darlene Fulton’s daily photo log of their work on Thacher since 2003 to last year. 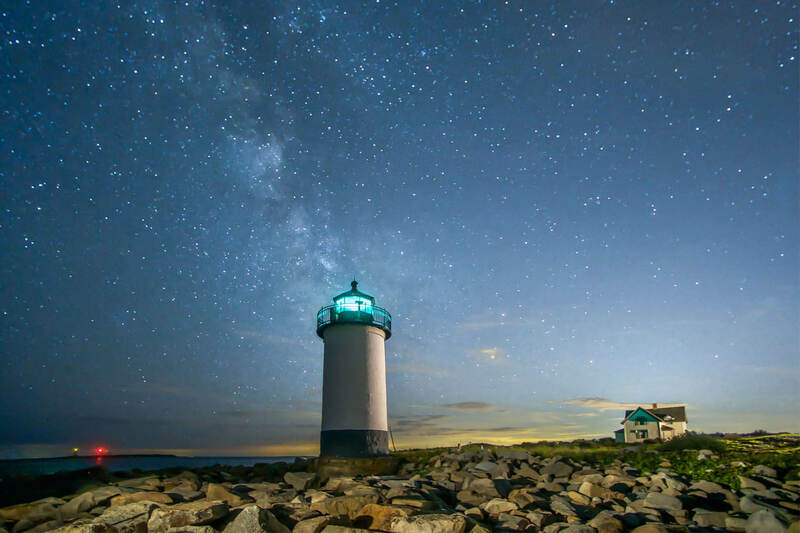 Lighthouse Photos and great information by Jeremy D'Entremont. 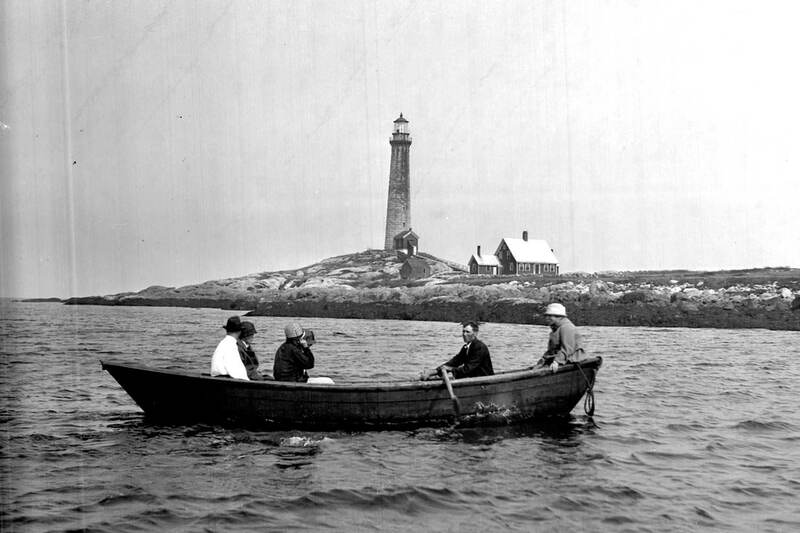 National Historical Landmark-Lighthouses-Complete text of Thacher Island NHL nomination. Schooner Adventure America's last fishing schooner and a National Historic Landmark.